For the past few months I have been traveling for my other career to Vermont on a regular basis. As far as my usual destinations for work go, Vermont is a breath of fresh air. That breath of fresh air is occasionally tinged with the various scents of manure depending on the wind direction, but Vermont is after all a mecca for the Local and Sustainability movements. It is home to various farms praised in the Omnivore’s Dilemma fame, and author Bill McKibben who argues against the notion that growth is an essential ingredient to a healthy economy in his book Deep Economy. Addison County, VT is also home to the largest agricultural fairs in the nation. Naturally, I wanted to see how the local wine scene was progressing. By chance, or perhaps more likely because she is always there, I happened to walk into the Lincoln Peak Vineyard tasting room when Sara Granstrom was pouring. Although she’d never admit it, Sara is something of a rising star in the Vermont wine scene. She has been working in the fields since she was a kid and her father, Chris Granstrom, was known for producing strawberries. Since, 2001 however, the mostly-family team has been growing grapes and then making wine and the strawberry fields are part of their past. The switch happened at an opportune time as well as they have been able to adopt the cold hardy hybrid grapes that are coming out of the University of Minnesota and elsewhere. In addition to the time-consuming demands a vineyard entails, Sara is also the recently elected President of the Vermont Grape and Wine Council which coordinates efforts to advance grape growing and wine making in the state of Vermont. 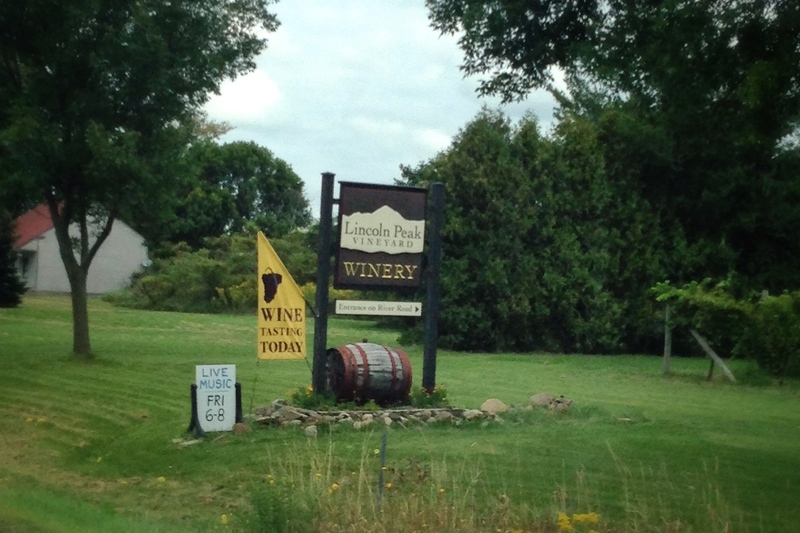 Lincoln Peak is just one of about 25 vineyards and wineries that make up the council with a handful of meaderies, apiaries, and orchards added in. The actual state of Vermont is putting some serious investment into the wine industry and for good reason: they have some good quality wines already coming out. For the past 3 years, Shelburne Vineyard has been nabbing the Top Red Wine award at the International Cold Climate Wine Competition (ICCWC) with their Marquette Reserve. Sara, and it seems the rest of cold hardy grape producers and wine makers, are taking note that Marquette and La Crescent are the two darlings when it comes to wine production in the northern climates. She’ll also tell you that Vermont wines are on the cusp of really developing a regional character and as I mentioned in my overview of judging the ICCWC this year, I certainly agree. As a bonus for this post, and in the style of my previous interview, check out the audio of our conversation below. Admittedly, I had to chop it up a bit, because Sara is apparently very popular at the restaurant we chatted at, but don’t worry, we still figure out what wine to pair with a maple milkshake. For those interested in the Northern Wineworks book Sara mentioned. Follow the link!